Such a great story! 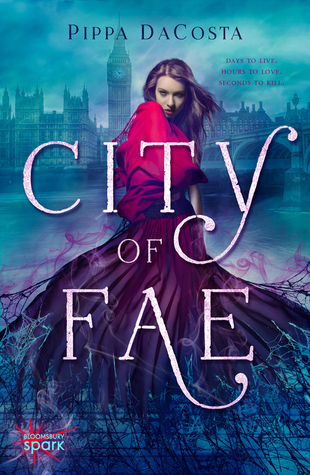 City of Fae drew me in, and kept me hooked till the end! Fascinating characters, a compelling plot, and plenty of twists and turns create a unique adventure. Set in London, the journey begins with humans living alongside the fae, with rules established as to their interactions and contact. On the surface things seem to be working, with both humans and fae living cooperatively... but things aren't always as they seem. Alina is a likable and intelligent character. When she stumbles upon the troubled fae rock star, Reign, she is cautious -- she knows the laws and risks surrounding physical contact with the fae. But as a journalist, she can't help thinking that this chance meeting could land her a story. So, she assists Reign, with a plan to gather information. But he seems to be around every corner now... and she wonders just who is doing the investigating. "You believe you know what's happening here. You don't. This isn't my story Alina, it's yours." Reign's keen interest in Alina is peculiar. She wonders if she's being bespelled by the handsome and irresistible Reign. But when he shows her another side to his world, the pieces of the puzzle begin to fall into place. And soon she discovers that the world she believed to exist is far different from anything she could have ever imagined. I am always excited to find a story that catches me off guard, and I can say that this one genuinely surprised me! There were some frightening moments, plenty of wit, and romantic elements that flowed naturally from one passage to the next. Magical, fast paced, and well written, I highly recommend this book to anyone who enjoys urban fantasy with great characters and a world that's easy to escape into. A must read! I'm thrilled you enjoyed it so much, Stephanie!